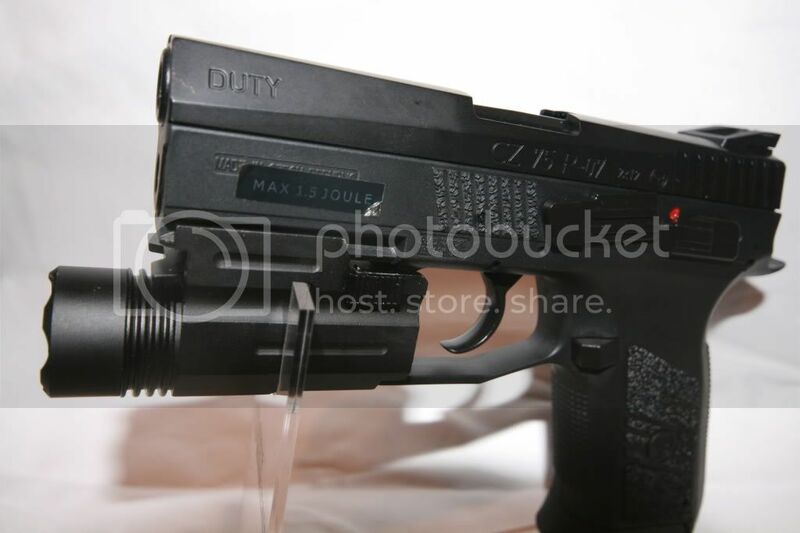 A tac-light and red laser on a pistol – sorry I don’t have the room on a pistol, are you mad or something! Well, no I’m not, now you can have the benefit of BOTH with this great small light weight unit from Flashlight-heaven with the Red LASER & CREE Combo. 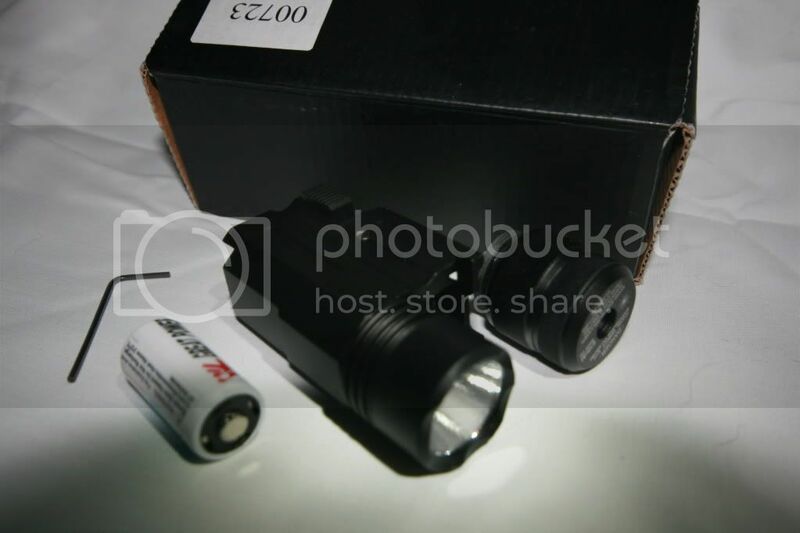 This combo comes with two interchangeable modules to allow the unit to act as either a LASER or CREE LED torch. 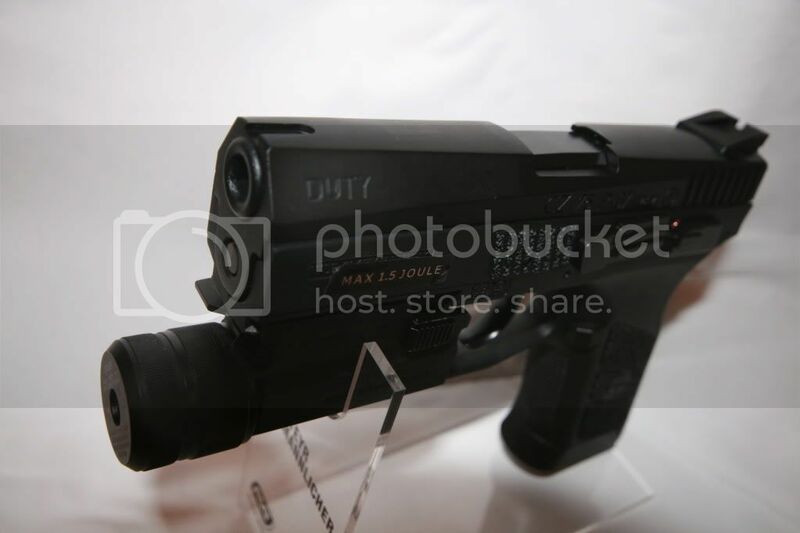 The body takes a standard CR123A battery (supplied with the unit) and is ergonomically designed to be used under-slung on the barrel of a pistol whilst maintaining ease of use with the index finger to switch on (you may need to use the other hand to switch it off however). The main body is solid and is affixed by a spring loaded clip which allows for a quick attach/detach option to any 20mm rail system, so you could use it as a light weight alterative on a rifle should you wish to impose on the units versatility. The LASER unit provides a strong steady beam and the CREE LED torch is certainly sufficient for any pistol shooting in the dark. The head modules just screw into the main body of the unit and are extremely easy to change mid game. This means less weight as you don’t have to carry dedicated units into games with you, result! The units are small enough to store in a small pouch as well. The only ‘extra’ I think you should request when ordering this unit is a lens protector or two for protection of the glass, this is essential kit for those dark CQB games! To order go to FLASHLIGHTHEAVEN and don't forget all the other great stuff they have on the website.